Dark Sonic: I'm Still Here. This is just something I wanted to đăng tải when it was close to Halloween, but then I decided to put it up now. Looks pretty creepy, doesn't it?. 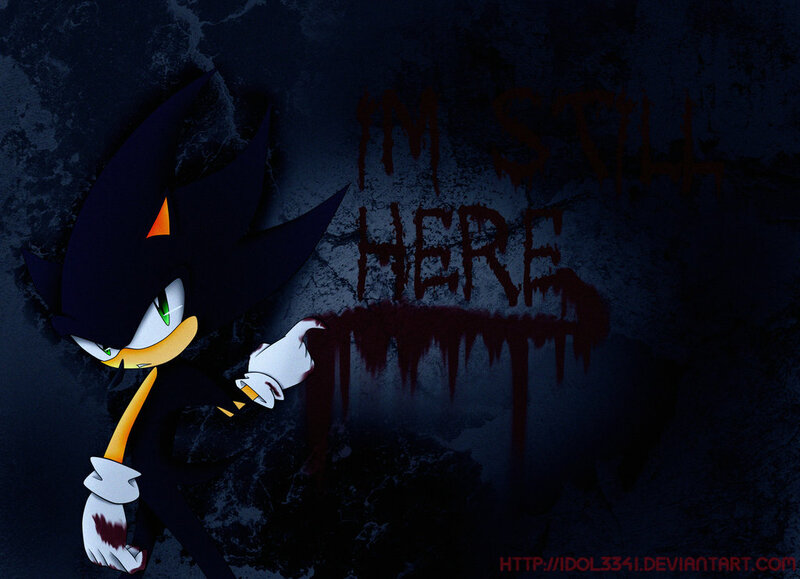 HD Wallpaper and background images in the Nhím Sonic club tagged: sonic hedgehog sega dark sonic.